When I checked my Dex post shower I was quite surprised that my bedazzling was not only still intact, BUT my Dex is hardly frayed around the edges (it has indeed been a whole week). 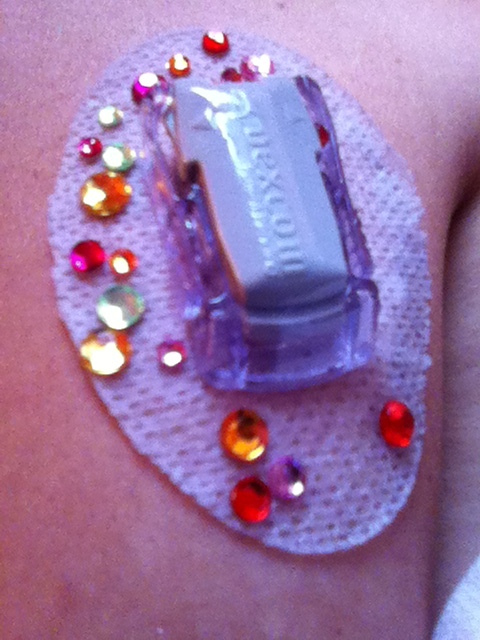 In one week I haven’t used any IV3000 to keep Dex stuck to me (shocking) and a bunch of rhinestone stickers have survived my workouts, longer than should be acceptable showers, and the various outfit changes I seem to make on a daily basis. So what has changed? Nothing that I can think of EXCEPT the rhinestones are a new decoration! If they are helping keep Dex in place, then guess what folks? I am going to remain one heck of a bedazzled, glittery, pretty pony. This entry was posted in Dexcom and tagged bedazzle, CGM, dexcom, dexcom decorations, diabetes, JDRF, robot parts, sensor, stickers, T1D, type 1 by surfacefine. Bookmark the permalink. 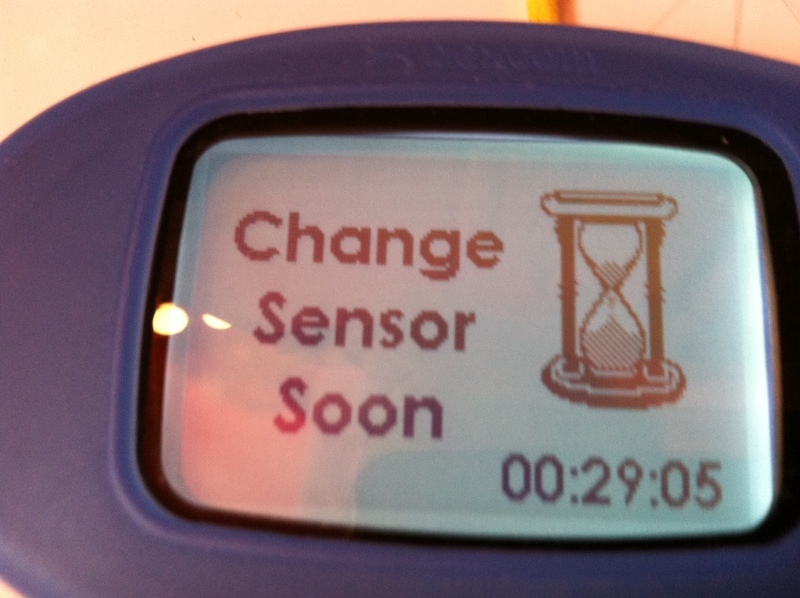 I ALSO got the change sensor soon alarm today and I’ll be durned if this one is still well attached. I am not sure the ART is what did it, but I do think my arm takes less abuse than my stomach…..